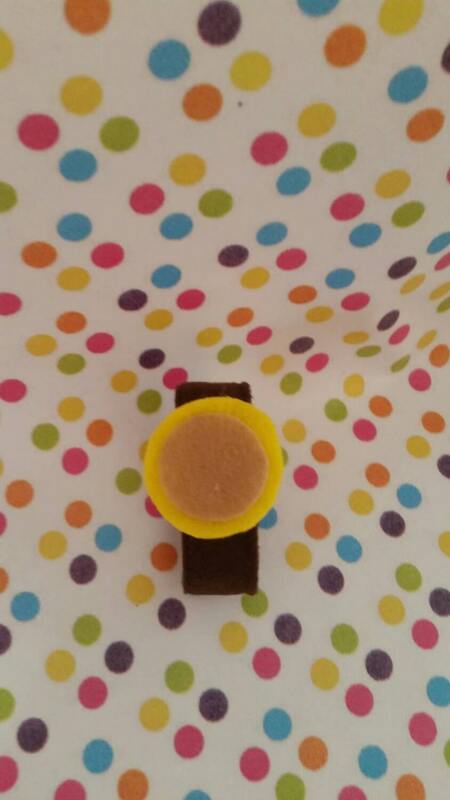 Your little tigers will look grrrr-iffic in this Daniel Tiger inspired felt watch! This listing is for a set of 10. If you need quantities in sets of 5 or even just 1 watch, please message me. Watches have a velcro closure. They are for novelty only and do not tell time. I can't believe the excellent workmanship on this denim jacket! I ordered an Sesame Street Elmo themed jacket for my two year old grandson and his Mom was giggling so hard when she saw it (thought it was the cutest thing she ever saw), that she asked if I could order a jacket for his four year old sister! Which I just did. It will be a Minnie Mouse affair, with maybe a small Mickey and Daisy on the front! Whatever this gal comes up with will for sure be unique! I can't wait until they both wear them to DisneyWorld! One suggestion: go one size up from the size your child is wearing. My 2 year old is average and the size 3 is just a tad big and will fit him hopefully for a year. My 4 year old is tall and thin and wears a 5 so I got her a size 6 so it will be a little loose now but she will wear it for at least a year!